My travels in Thailand continued and I made it for the first time ever to Phuket, where I spent 3 days in the , Phuket, a heavenly property, located in front of a wide beach scenery.. The hotel itself is a 50-minute car ride from the airport. I booked a shuttle via the hotel and had a pickup at the airport, where I arrived after a night flight and was happy to comfortably arrive at the hotel, where I was able to check into my pool villa immediately. The hotel offers about 245 rooms, which are separated on various buildings and single villas. For long-term rental the hotel also offers residences. The location itself is in the most southern part of Thailand, which is definitely worth a visit. Holiday dreams come alive at the 5-star Mövenpick Resort & Spa Karon Beach hotel Phuket, a truly wonderful spa resort in Thailand. 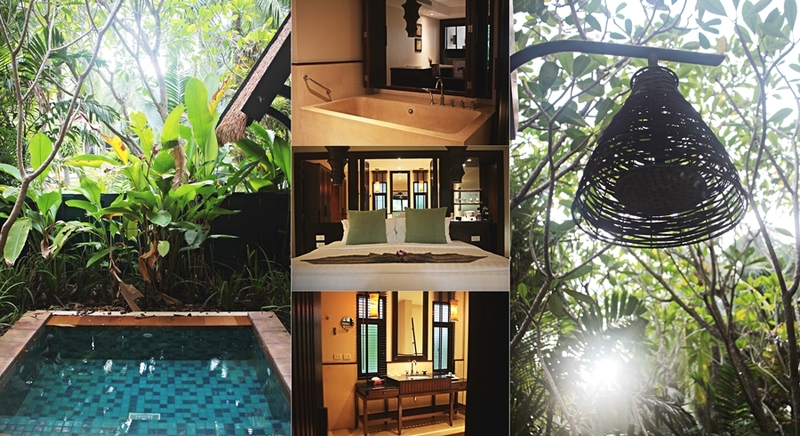 Amid the lush tropical gardens and just steps away from pristine sands of Karon Beach, are a range of luxurious rooms perfect for family vacations, leisure travelers or a special occasion. Also, for solo travelers and explorers, this hotel is a suitable choice, as there is a lot of things to do around the hotel area. Phuket city itself is close and offers even more activities to highlight one´s trip. As already mentioned, I checked into a pool villa, which was spacious and a powerful addition to the 4 resort pools. A king-size bed, so as a huge bathroom, including a shower and a bathtub were a highlight of the room. Coming from the fact that the total space of the resort is wide, one will always be spoiled with a lot of privacy. Besides having 4 pools, villa guest to have a separate pool to enjoy resting moments. 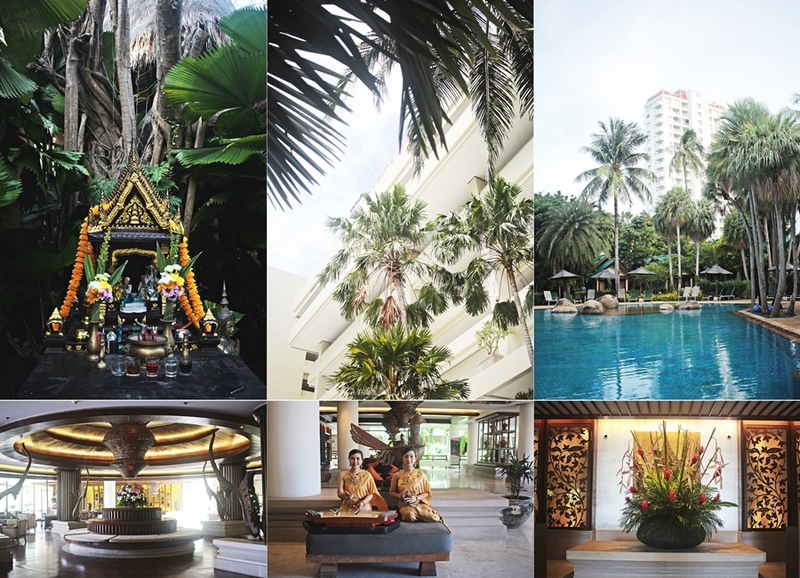 What I also quickly realized about the hotel, is a decent interior, which is absolutely Thai inspired. One of the main spots is the lobby, which offers huge flower arrangements, some Thai live music and couches for a quick rest of some time to waive off until check in. Surrounded by palms and wild flowers, one will easily get into a holiday-mood. Staying with the Mövenpick hotels does always have benefits. Besides having additional discounts when booking via the Mövenpick website, one will also have access to complimentary activities. 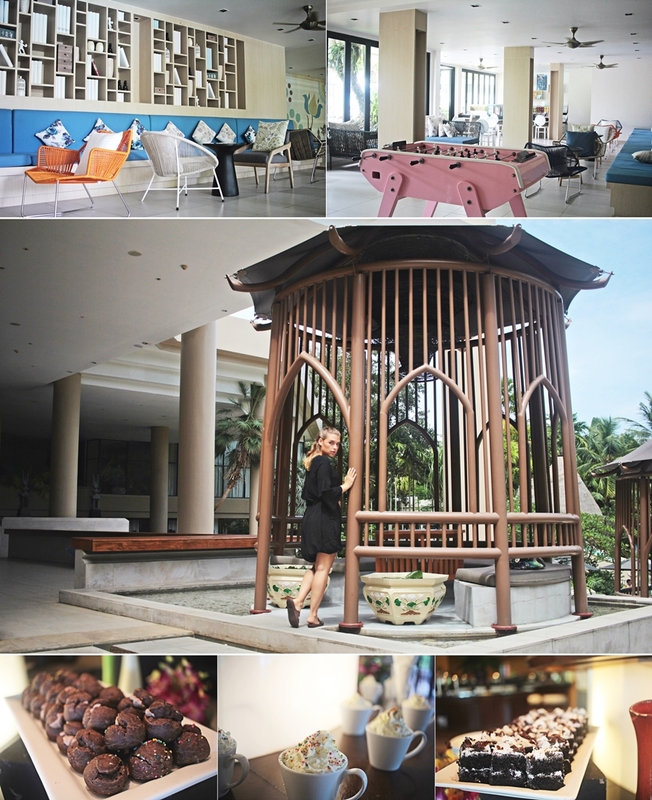 One signature of the Mövenpick hotels is the daily chocolate hours, which is of course, also held at the Mövenpick Resort & Spa hotel on Karon Beach Phuket. Moreover, the Phuket property offers a free try scuba diving, so as a kind of community house with games and a juice bar, which makes a fantastic addition for those who are traveling with their family. 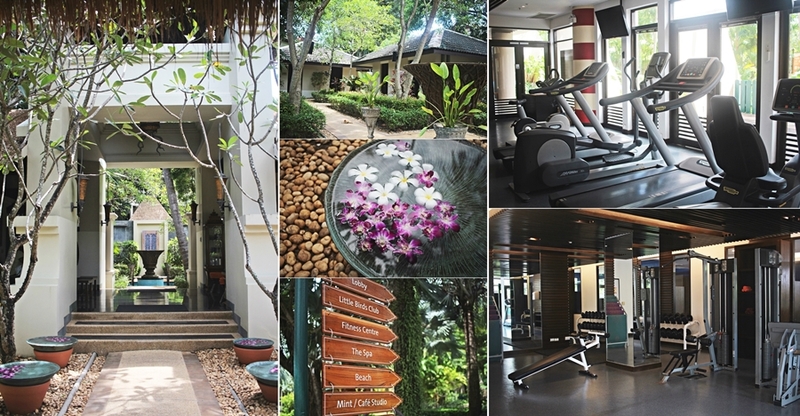 The resort also offers a fully equpped gym and a kids club. The hotel itself offers 4 restaurants. However, my favorite has been the OrientAsia restaurant, which I highly recommend. Besides an wide a la cart menu, the restaurant also opens for a daily buffet, which has a reasonable pricing of less than 500 baht per person for the buffet, offering various dishes and the best of Thailand’s tasty cuisine. 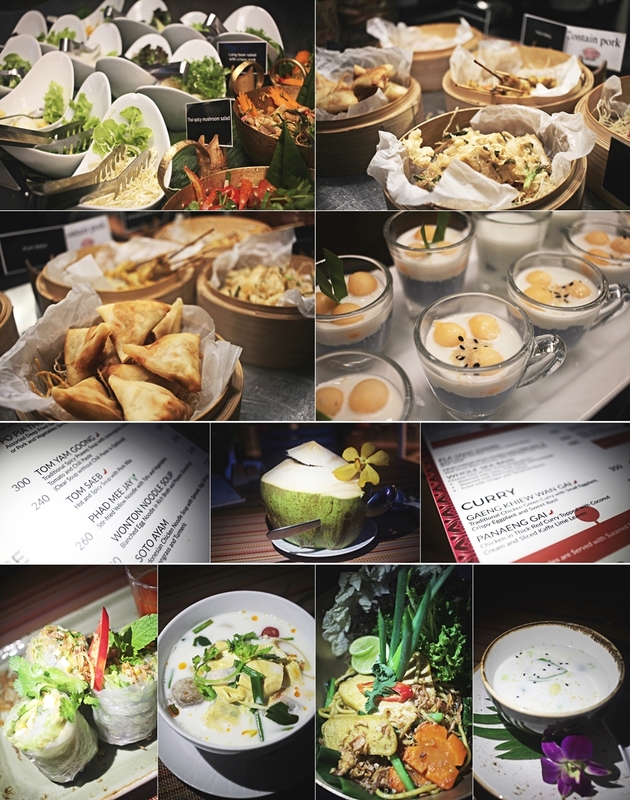 For a la carte I absolutely liked the vegan dishes, just as the Phuket noodles, or traditional Thai desserts. As a signature guests can also order the Mövenpick ice cream. For those who want to explore more of the high-quality restaurant offers, there is also a steak house, named El Gaucho, which does also host live music, so as stunning sunsets views, as it is in front of the beach. Almost all of the restaurants can be found in the Karon beach square, which makes the great food offer not only accessible for staying guests, but also walk in tourists. If there is something that Asia is well known off, then it might be the wellness culture and spas. Enjoy spa treatments in a garden scenery at the beach in the Mövenpick hotel Karon beach Phuket. While opening hours reach from 9am to 9pm, guests can enjoy treatments as the aromatic massage, which I enjoyed with a blissful treat of coconut oil, or try the Sabai stone therapy. Sabai is a Thai expression for well-being. Also, international treatments are offers at the spa, so as discount packages and changing offers. Referring to the culinary part of the hotel, villa guests can enjoy two breakfast locations for the most important mail of the day. One option is the Pacifica Restaurant, which is opened for all day dining and located by the main pool. 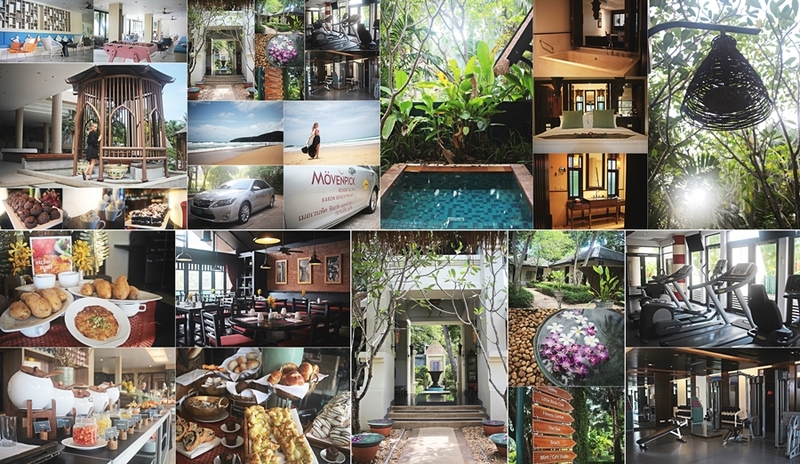 The other breakfast location for villa guests is located in the Karon beach square. 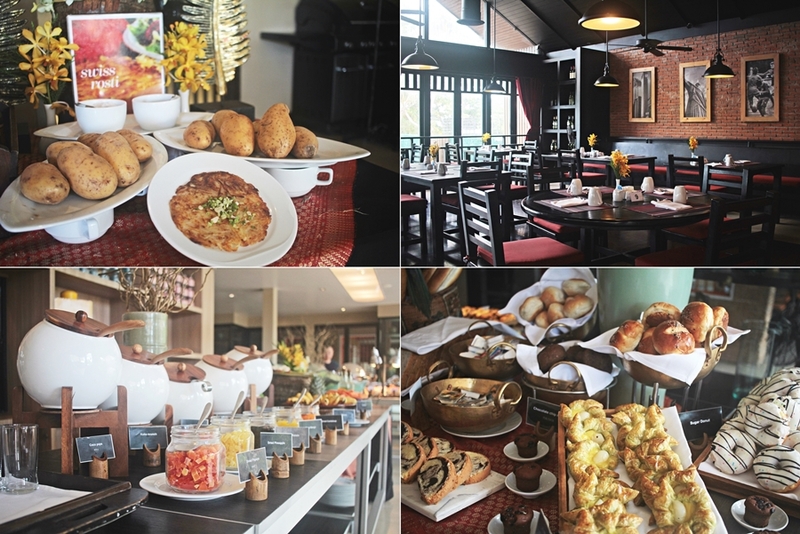 Breakfast opens from 6Am to 10:30AM with multiple vegan and gluten free options, included in the buffet (not on extra request), so as fresh juices and omelet and rösti counter and fresh fruits. Phuket is an interesting destination with a lot of things to do. I must admit that I didn´t assume Phuket to be that big. 3 days were too little for this trip, however, Thailand is a great holiday destination anyways and there is always a reason to be back.